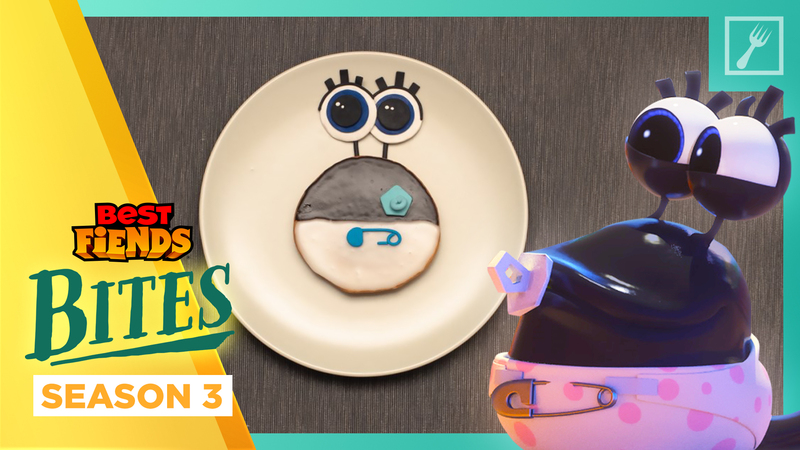 Take a bite out of Baby Slug with the latest Best Fiends Bites recipe: Baby Slug Black & White Cookies! These adorable cookie confections are almost too cute to eat! In the Best Fiends Bites series, Seriously has teamed up with Pangur Animation, an independent animation studio in Spain, via Tongal, to turn your favorite Slugs and Fiends into irresistible treats. You can check out all of the previous episodes HERE! And be sure to stay tuned for more delectable Best Fiends Bites recipes coming throughout the year.